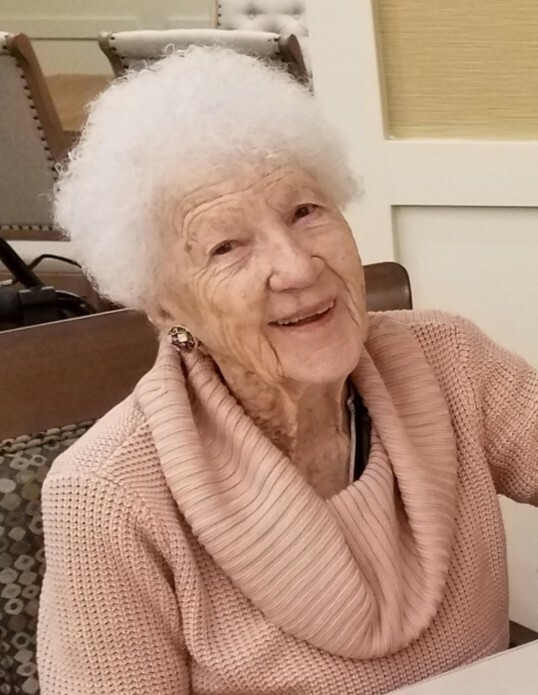 Clara Walters Bair Baugh, 99, of Orem, passed away peacefully on February 13, 2019 with family at her bedside. She was born in Wellsville, Utah, on October 25, 1919. She was the 7th of 11 children of Julian and Ida Bair. She was married to Evan A. Baugh on March 7, 1941 in the Logan LDS Temple. They moved to Orem in 1948. She graduated from Logan High School and attended Utah Agricultural College (USU) for 1 year and worked at the Bluebird Restaurant in Logan. Clara was very talented and possessed a wide and diverse variety of interests and hobbies. From ballroom dancing and baking, to fishing and camping, she could do anything. All her friends and family loved her famous pies and rolls. And there was no problem that Clara couldn’t solve over a conversation and a slice of homemade bread and jam. Family members cherish her handmade braided wool rugs. Clara was very service oriented and a faithful member of the Church of Jesus Christ of Latter Day Saints. She served in all the auxiliaries of the church in both the ward and stake levels. She always volunteered to help the sick and afflicted, and the poor and the needy. Clara enjoyed serving with her husband at the Mount Timpanogos LDS temple as ordinance workers. Clara was civic minded as well. She was a founding member of the Orem Women’s Club and eventually was elected its President. For years she served as a Polling Official in local and national elections. Clara was a hard worker and devoted to her family as well as a wonderful homemaker. She led by example, was kind and generous. Clara was truly an exemplary mother and great support to her husband, children, and grandchildren. 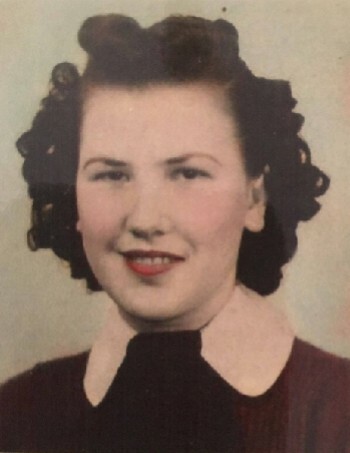 Clara is survived by her five children: Gary (Joan) Baugh of Moreno Valley, CA; Steven (Cathleen) Baugh of Orem; Beverly (Leland) Bird of Springville; Katherine (Belmont) Anderson of Las Vegas, NV; Julie (Brian) Whipple of Spring City; and 32 grandchildren, 117 great grandchildren, and 2 great great-grandchildren. She is preceded in death by her husband of 76 years. Funeral services will be held on Monday, February 18th, at 11:00am in the Sharon 6th Ward Chapel, 545 South 800 East, Orem, Utah. A viewing for friends and family will be held Sunday evening, the 17th, from 6-8pm at the same chapel and also Monday morning, the 18th, from 9:30-10:30am prior to the Funeral Service. Burial will be in the Orem City Cemetery on Tuesday, the 19th at 9am. We appreciate the outpouring of love, support, and service that has been given to our family at this time, especially from the First Choice Hospice Group, Summerfield Manor staff, the Summerfield Manor LDS Branch, and the Sharon 6th LDS ward. In lieu of flowers, please make donations to the LDS Humanitarian Fund. Condolences may be offered to the family on this page.